Welcome to your sixth week of the challenge! Every week, we'll send out bonuses, tips for success, and recipes to keep your meals "lean and green"! Weigh yourself 3x this week, first thing in morning (Suggested MWF). Encouraged: waist/thigh measurement and mirror selfie. What score would like to achieve? Identify the days you might go off plan. Plan out your training days. What kind of habits and rituals are you going to build into this week to achieve those numbers? If you're not part of our GTS Facebook Team Training Page, please request access. Check out and share helpful tips, recipes, meal ideas, a few bonus opportunities and keep each other accountable. You’ll notice that we kept all of the bonuses, except the journal topic under “Sleep/Recovery”, the same. We really want you to practice some of these habits and find what works for you! * If you don't use or have access to Facebook, email your post to etraining@gametimestrength.com and we'll share it for you! At least 5 days drinking only water, coffee, or tea with your meals. At least 5 days of logging your food in a food journal or in MyFitnessPal. At least 4 days of using your flexible calories on fruit, vegetables, and/or whole-grains. At least 2 days of intentional walking/hiking/biking/running outside for at least 40 minutes. At least 3 of your training days are resistance training days and 1 extra session of low intensity cardio. .
130 total walking/reverse lunges (65 per leg). At least 5 days, first thing in the morning, spend 5-10 minutes writing something down you’re grateful for. At least 5 days spend at least 10+ focused minutes attempting to meditate. Think intentional silence, laying on the floor or in a chair, attempting to focus strictly on your breathing. Helpful to practice counting the seconds of your inhale, hold, and exhale. Alternatively, use a meditation app like Calm to guide you. At least 4 days spend at least 10+ focused minutes on a mobility/flexibility routine. Work on mobilizing or getting some blood flow to an area you're currently tight or stiff in. At least 4 days intentionally connect with a friend or family member that you don’t see everyday. Call, email, spend a little time re-connecting. At least 4 days of 20+ minutes of reading (not on a screen). Whether it's a book, newspaper, or magazine, take 20 minutes to learn something new, connect with the world in a different way, or connect with a different world entirely. We’re only focusing on one success tip for this week, and that’s thinking beyond the challenge. Over the past 5 weeks, you’ve hopefully started implementing some habits to get you eating better, training more consistently, and sleeping enough every night. We definitely want you to keep up those efforts beyond the challenge, and so it’s important that you have an exit plan for when the Total Health Challenge ends. The last thing you want is to land back at square one, or in some cases, square negative one. You’ve worked way too hard for that! Think about how you’re going to stay accountable. Accountability means checking in on yourself and being honest with your progress. Or having others check-in on you. Personally, I keep a food journal, keep an eye on weekly weight averages, and monitor my training progress. 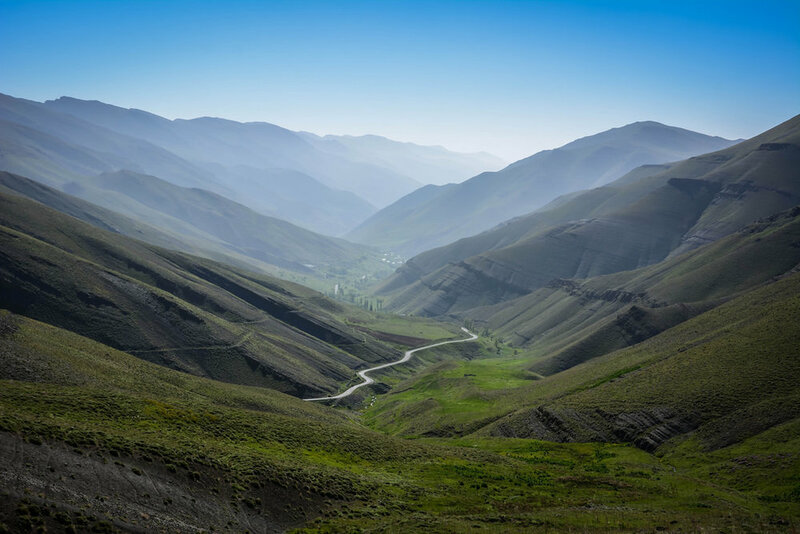 Since I always have a pulse on my lifestyle, I can get out ahead of problems before they become mountains. Weight goes up a few pounds? No big deal. Weight goes up 30 pounds? Now you need a more drastic intervention. Yes, sometimes tracking your food and weighing-in regularly can be a chore. It can even be painful to step on the scale when you know you’ve gone off-track. But trust me, it’s a lot more difficult to step on the scale after three months of letting yourself go than it is after just one week. Keep reaching out for support! Just because the challenge is ending doesn’t mean your coaching staff is going anywhere. We’re here to help you problem-solve in realtime, challenge or no challenge. Talk to a coach, talk to your friends, talk to anyone about the difficulties you encounter maintaining your lifestyle. Chances are, someone will have helpful advice for you, even if it’s just listening to what you’re going through. If you’re taking a diet break, be gentle with it. If you’ve been trying to lose weight for a significant period of time, you might be a little burnt out, and that’s okay. It’s totally cool to take a break. That said, a diet break does not mean you should go off the rails with your lifestyle. Add a modest amount of calories back into your diet. Maybe lose some of the food focus. Eat an amount of food that maintains your weight — and that’s it. Dietary extremes are rarely productive, and neither is a radical shift away from your Total Health Challenge habits! Once you’re feeling good to go again, hop back on your fat loss journey. We’ll be here ready to support you. Prepping your protein in advance can give you a lot of flexibility with your meals throughout the week. In this single pot recipe, we take advantage of chicken breast and tri-tip steak that’ve been grilled to perfection and hit it them some filling veggies and sauce for flavor. One night of cooking can create meals that last you for days! Divide pot into multiple meals to set yourself up for success during the week! 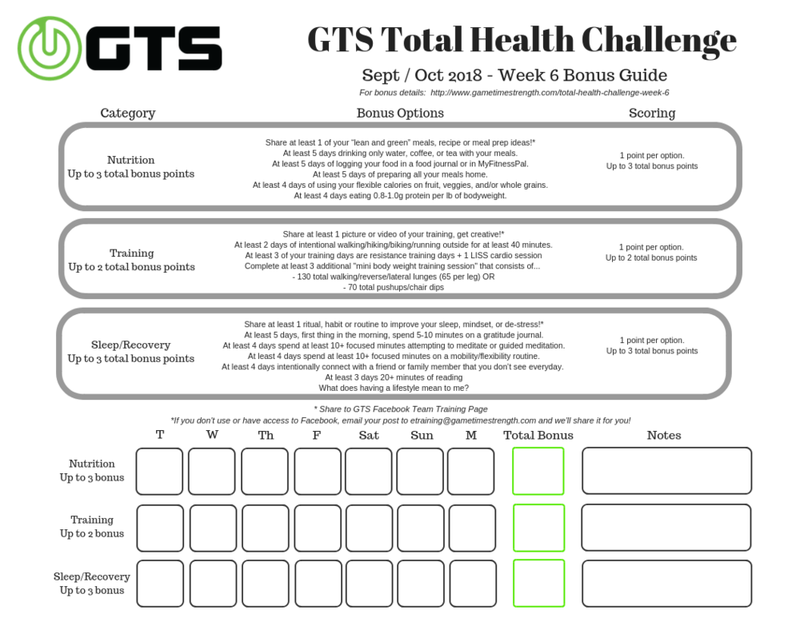 Any comments or feedback that might help us improve this page or the Total Health Challenge in general?